Home teams be damned. At least when it comes to NHL hockey, if the hometown Vancouver Canucks aren't performing, there's still love for the Edmonton Oilers and Connor McDavid. 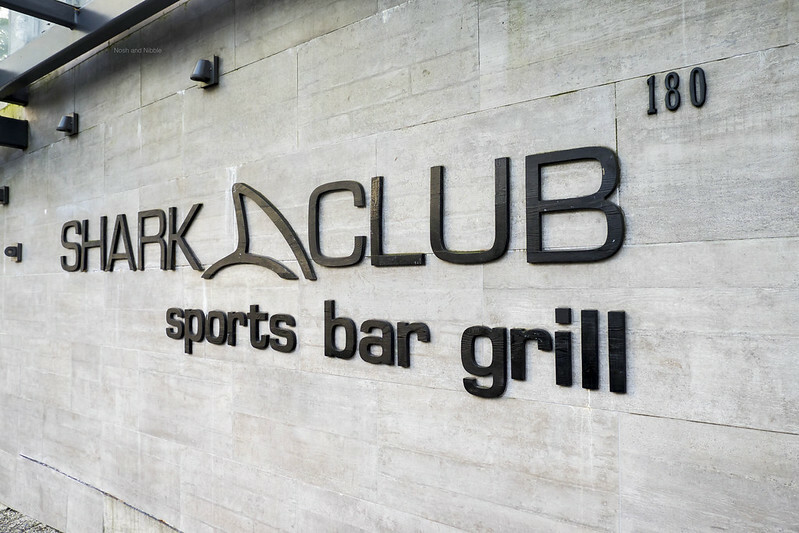 To indulge in playoff action, I went to Shark Club in Vancouver as I knew the space was recently renovated to be a bonafide sports bar. 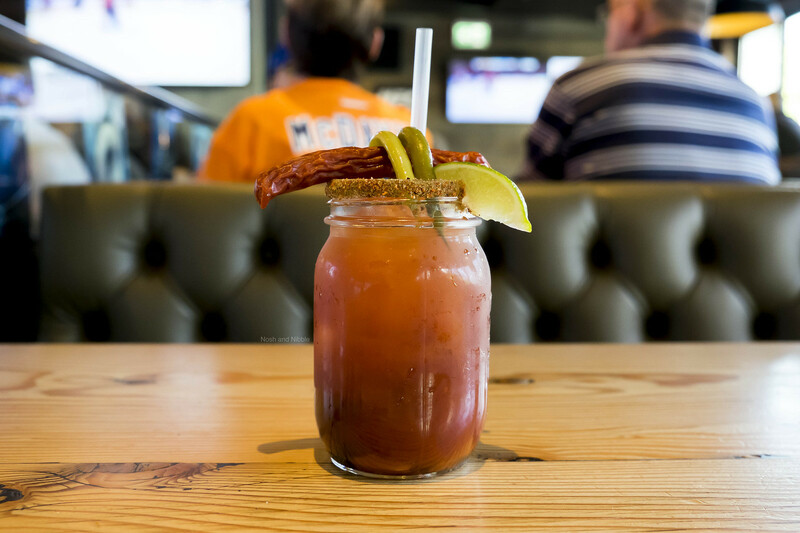 Do the eats here stand up to the sports vibe or should you mix your own Caesars at home? Read on to find out. Since it was Sunday, Caesars were all on special! This Caesar came with green beans instead of the usual celery stalk which I enjoyed as green beans have more flavour and these were arranged in a sort of latch for the pepperoni stick. As all Caesars go, this one had a pretty intense salt rim that was very enjoyable and this was easy to go bottoms up on. 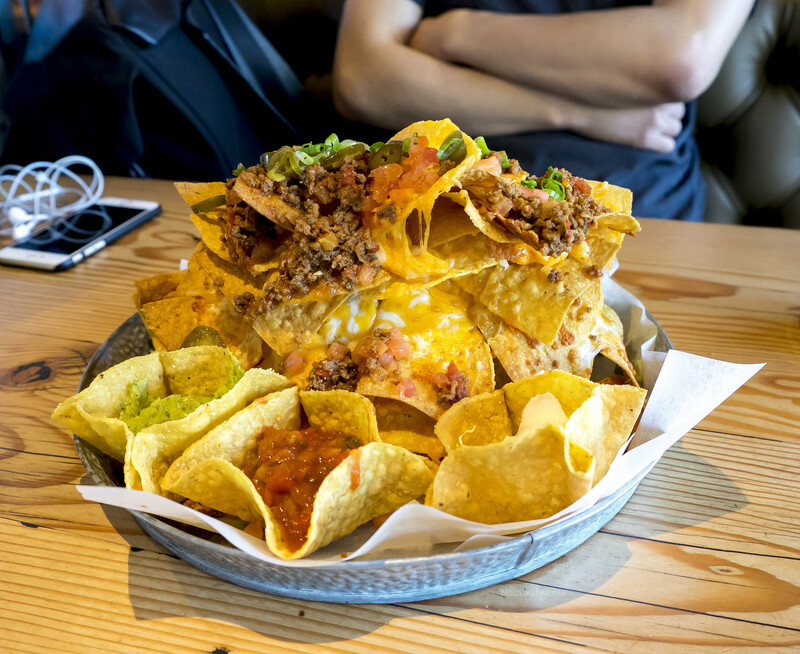 The main attraction for me were the Double Cheese Nachos. We opted to go all the way with spicy beef and guacamole too. I believe the right way to eat something is with all the trimmings provided, so I knew I had to get both. The cheeses (mozzarella and cheddar) had a great pull to them with a slight stringiness melting over the chips. The sauces were all pretty decent but the guacamole wasn't anything to write home about -- it had a watery look to it and I wish it were thicker. The least satisfying part of these nachos were actually the chips. Some chips were too burnt and left a charred taste. I normally prefer my nachos to be salty and crisp but these were a bit over-baked. 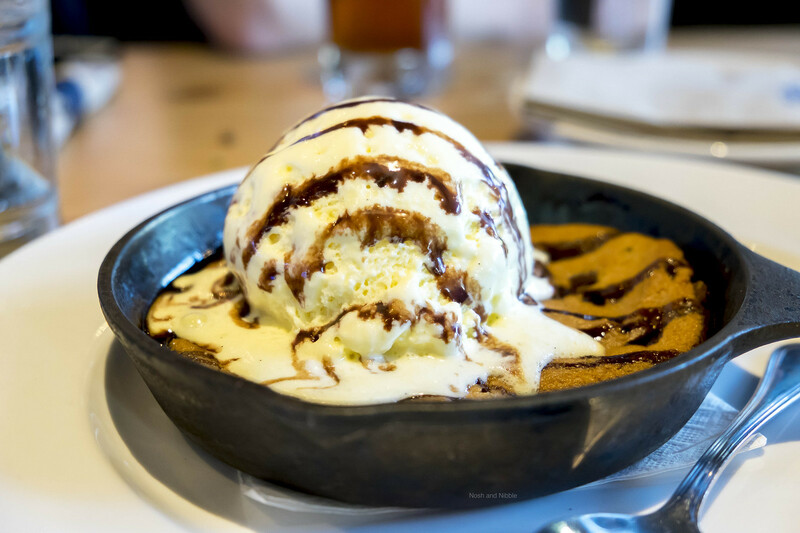 I was too full to have a real entree, so I skipped right to dessert with the Cookie Skillet. I'm a firm believer that anything served in a skillet automatically looks homier, and this did not disappoint on presentation. The cookie was also quite satisfying with a chocolatey gooeyness that did not get stuck to the skillet. The ice cream looked awfully whipped and voluminous though. You might be able to see in my photo below there were gaps of air throughout the ice cream which helped it to melt quicker and taste icier. This was pretty much on the level of mass market grocery ice cream. 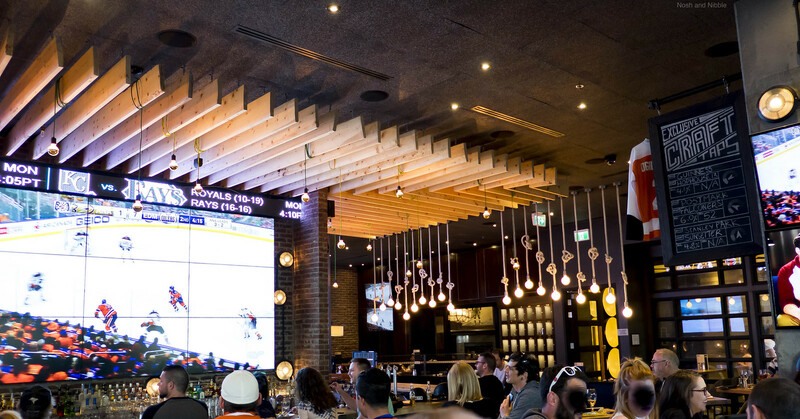 At Shark Club, it's really all about the sports even if the food doesn't match. The vibe here is all sports all day. The wooden tables are thick so you can slam your beer (or fist) down with distinction. The biggest thing about Shark Club is their giant dual TV billboard running by the bar and in plain view of everyone. 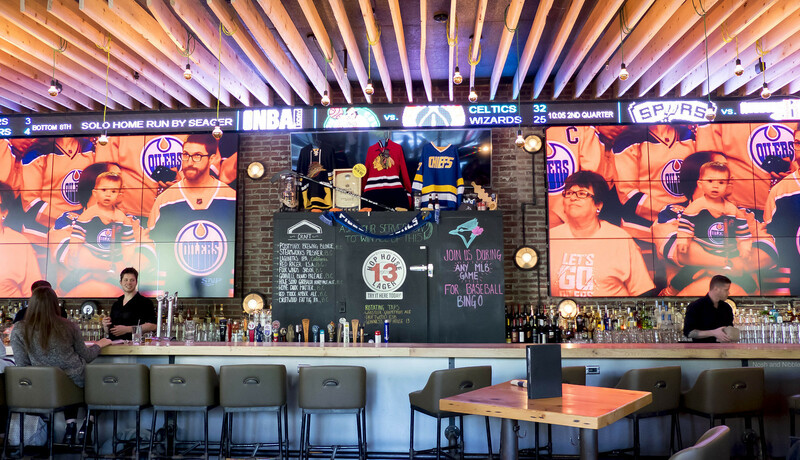 The screens are high quality and there's even a scoreboard running along the top of the bar showing you scores of other games and leagues. There are also a ton of smaller TVs around the venue, but the atmosphere is very inviting and well-lit. It's clear this restaurant was a sports-first arena. There's seating for about 200 guests here in booths, tables, longtables, and private sections. Service was less than ideal at Shark Club. After I seated myself, I was approached by two different servers who told me someone would be there to take my order. Both servers came back at some point and from then on it became a struggle to find our server. There were a lot of people in the restaurant and unfortunately for us, not enough servers. Asking for water was a pain that had to happen twice. Maybe this was just a situational thing where the restaurant didn't know the love for the Oilers in Vancouver. I'd recommend grabbing a seat in as central a location as you can as you don't want to be left alone in the corner away disconnected from servers. Food came out at average speeds though. Would I go back? Just for sports and drinks, really.